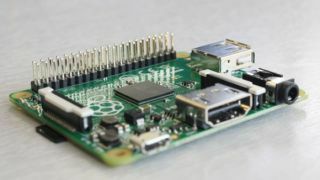 Raspberry Pi is getting predictable in its naming schemes, but we won't complain about that when it results in the smaller and cheaper new Raspberry Pi Model A+. The A+ follows the Raspberry Pi Model B+ as its more affordable and efficient variant. Whereas the B+ costs about $35 (about £22, AU$40), its little successor is just $20 (about £12, AU$23). And according to Raspberry Pi Foundation co-founder Eben Upton, it's just as powerful as the B+. "Like the Model A, the Model A+ uses the BCM2835 application processor and has 256MB RAM, but it is significantly smaller (65mm in length, versus 86mm for the Model A), consumes less power, and inherits the many improvements that we made to the Model B+," Upton wrote on the Raspberry Pi blog. In other words, the Pi lost nothing in its transition to the A+ generation. Get your own at raspberrypi.org.